Controls - Low Temp There are 18 products. 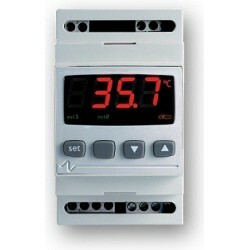 Electronic Temperature Controllers for Low Temperature Refrigeration Applications. Controls for Freezer Rooms, Freezers and Blast Freezers. We are proud suppliers of EVCO and LAE Controllers. The Wall Mounted EVCO EVBOX is a Complete Solution for Cold and Freezer Room Control with IP65 Protection. 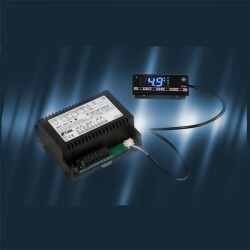 Contactors and Relays are all wired and supplied in the box making for an easy installation. There is an option of a Circuit Breaker. 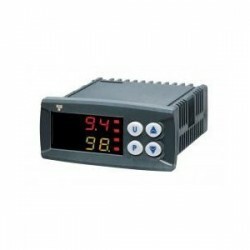 The EVKB63N7 is a 115 - 230VAC digital temperature controller with a LED display and is capable of controlling low temperature applications. The controller protects against voltage fluctautions Supplied with 2 x 1.5m NTC temperature probe. 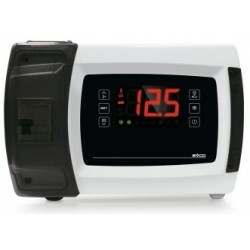 The EVCO EVK411M5 is a 115VAC digital temperature controller with a LED display and is capable of controlling high and low temperature applications. The controller accepts most types of probes available (configurable) and has one relay output. The probe is not supplied with the controller.